These are tied in three weights; Heavyweight , tied with a lead underbody, Super Heavyweight tied with lead and a gold or silver bead and finally Sumoweight, Tungsten bead, these also carry lead and are really heavy. 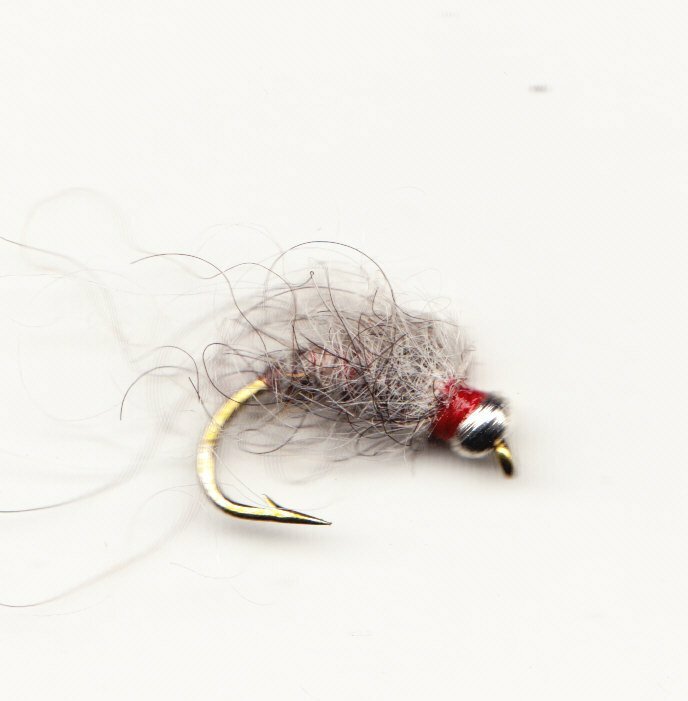 Plenty of weight to get to the bottom and stay there, remember smaller patterns can be used on the droppers, the weight of this fly will take them down. The bead is hot orange or lime green, my scanner can not see them but the fish can! A lead underbody completes these heavy flies. 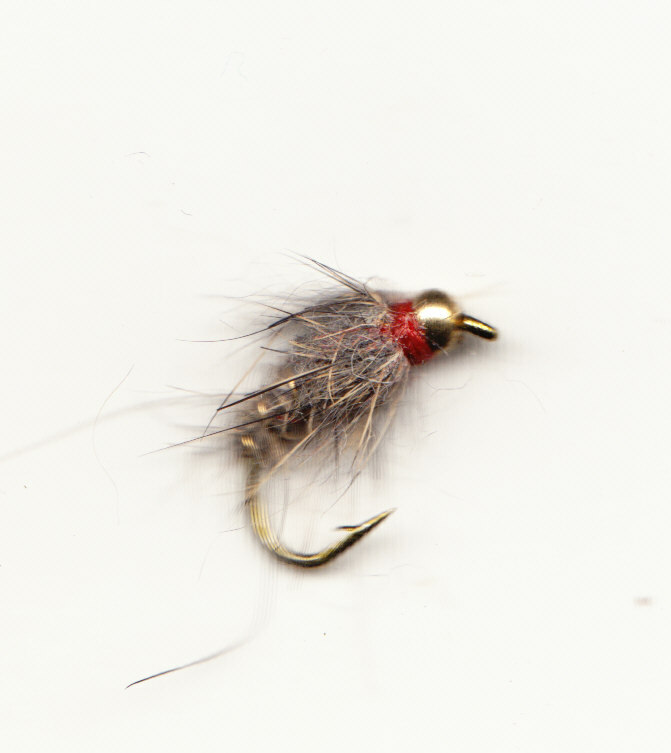 Tied with a 3.5mm bead and lead - a really heavy fly. 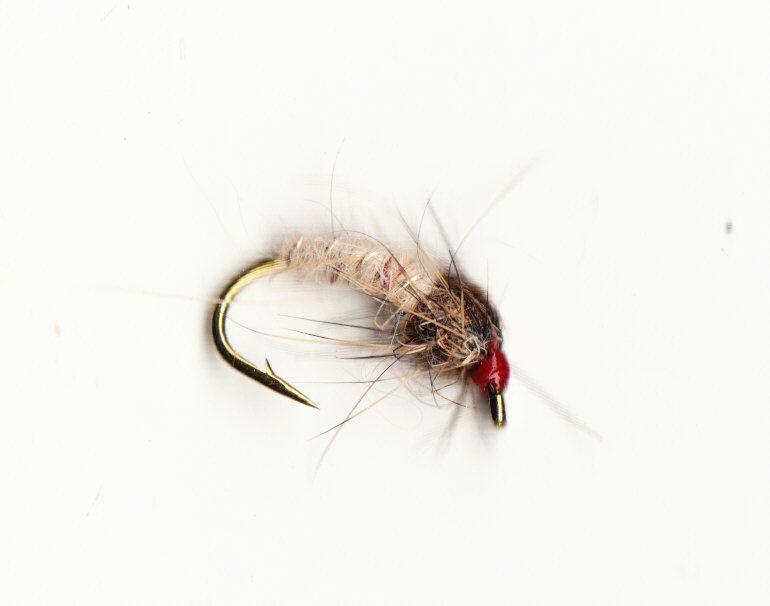 A Heavy Weight Czech nymph for coloured water. Pink shows up well and fish love it! CZECH NYMPH - GOLD RIBBED HARE'S EAR #8/10/12 - Heavy Weight . 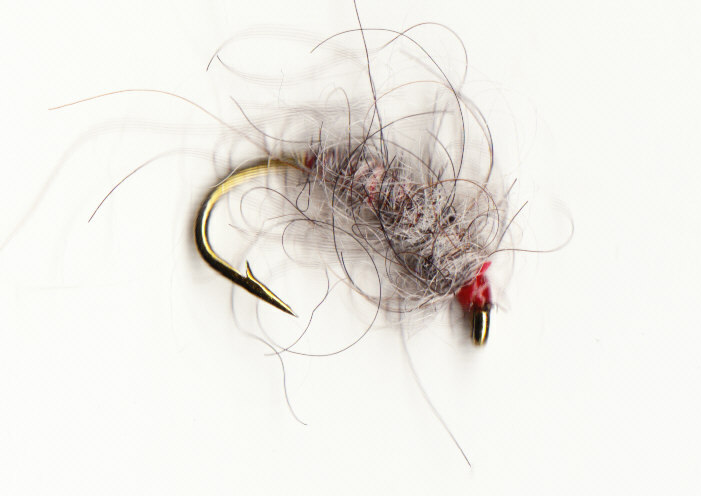 The only thing that improves the look of this fly is getting it wet. 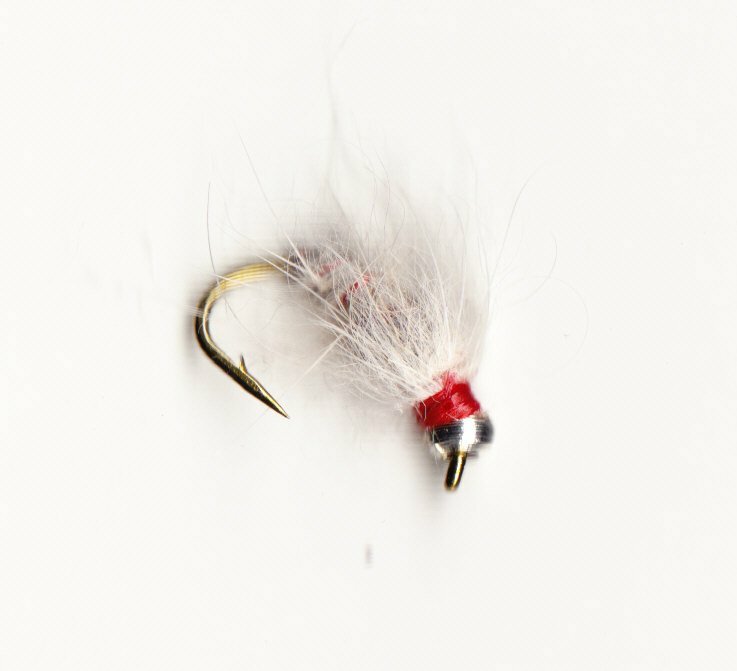 Essential tying for all waters. 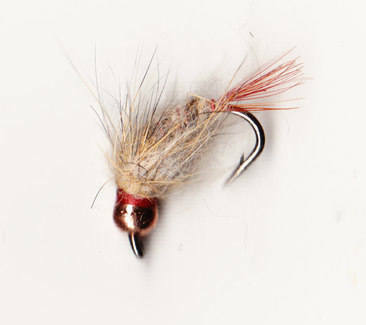 A Super Heavyweight pattern tied with a bead and lead. The herdwick wool body looks great wet and even better once it is well chewed. This is tied with extra material and lots of straggle, ideal for fastor coloured water work. 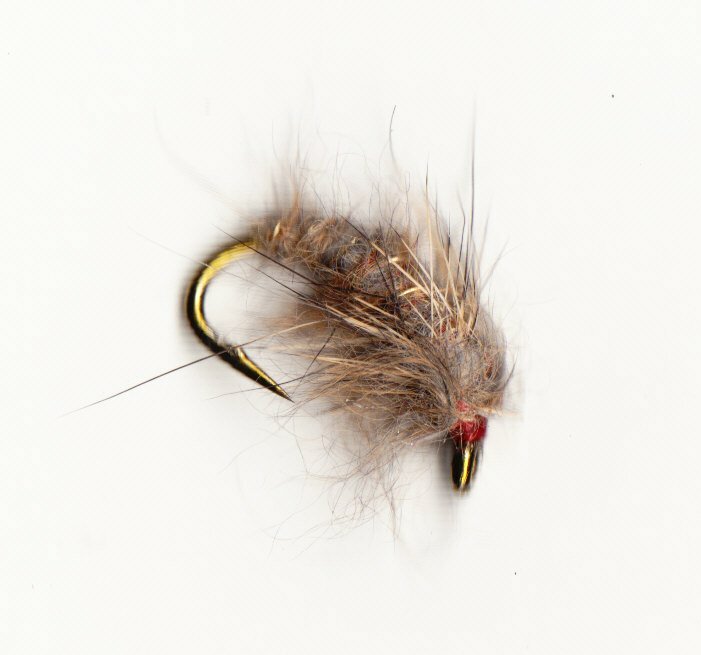 The more straggly this fly gets the better it works, tied with herdwick wool. 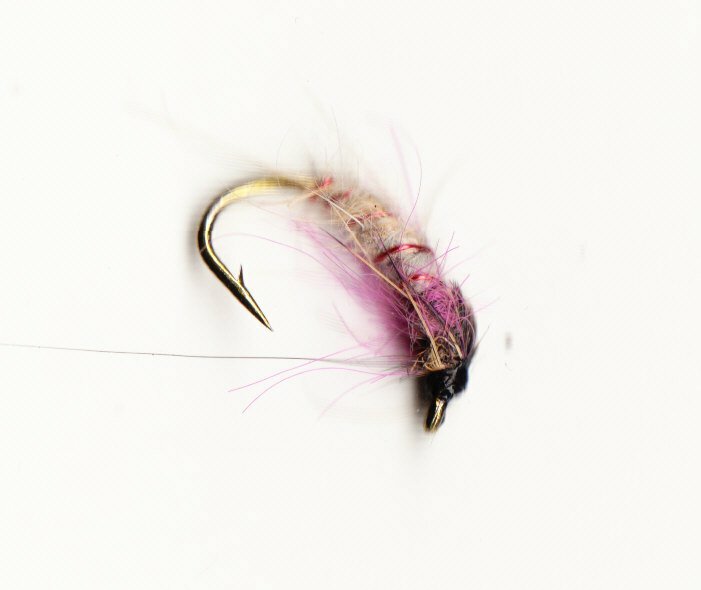 These can be fished in mini teams of three or combined with larger, heavier patterns. 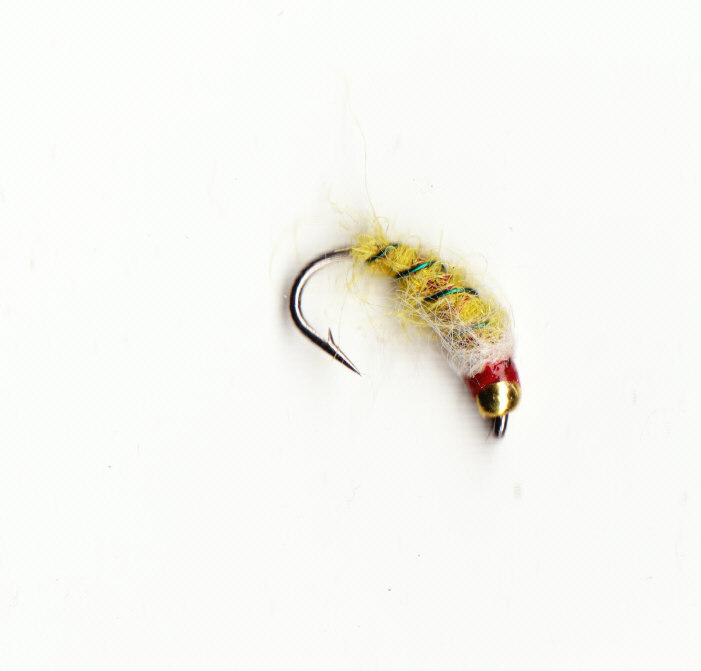 Try a two fly team a goldbead Sumoweight on a dropper with a size 14 Gold/silverbead job on the point 12" away. Tied to sink quickly, hotspot red collar and plenty of lead in this one.